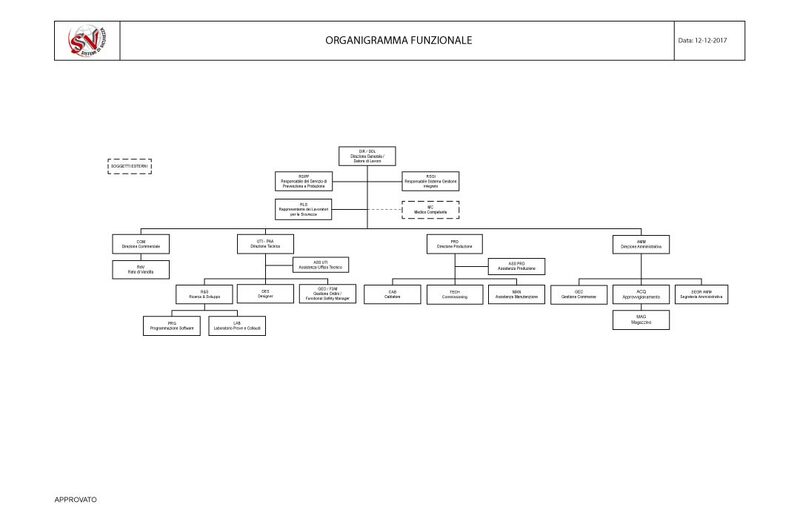 the organization chart is the reference graph of the articulated structure of the various organs and phases of carrying out the operations of a company, an administration, an office. 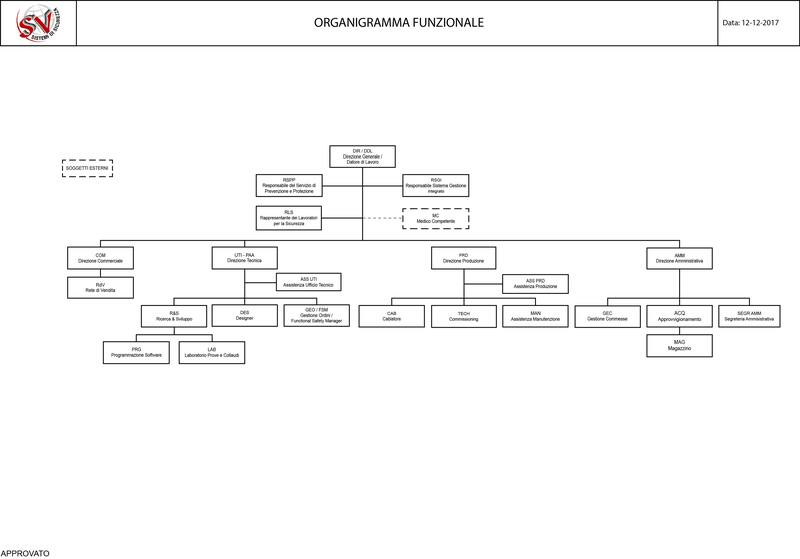 SV?sistemi di sicurezza to achieve your goals, refer to your organization chart below, so avoid any confusion and overlap where more work is needed to go ahead at the same time, as further detailed in our Mansion. For this purpose, the organization chart divides the various roles and makes it possible to have well-defined business positions that allow the replacement of staff with any role, even in key positions, without creating any unreasonable normal organizational-management process so that in case of a possible lack of staff can replace it so that we can always be efficient on the field. The Management has defined and disclosed the functions and their interrelations as well as their responsibilities and authorities in order to promote effective quality management. description of the company’s functions with the corresponding responsibilities and competencies required. The handicap is recorded in the SW Mago Net mask (Roles: skills and handicap). information flows and interfacing interfaces.